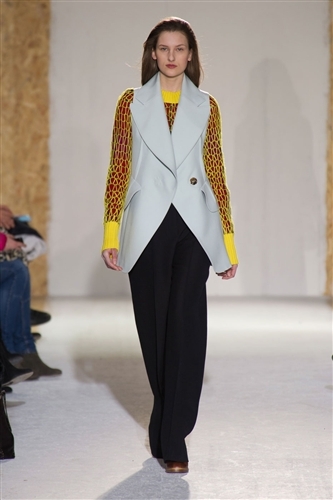 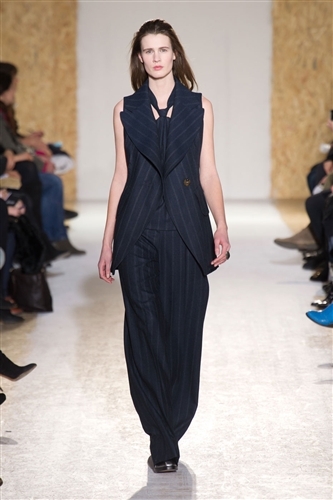 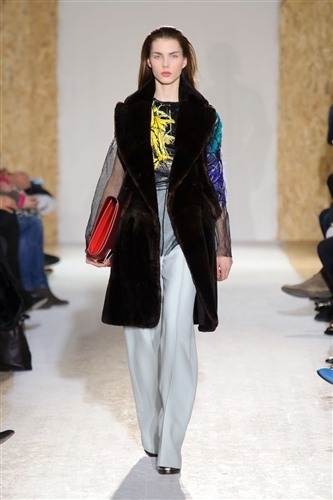 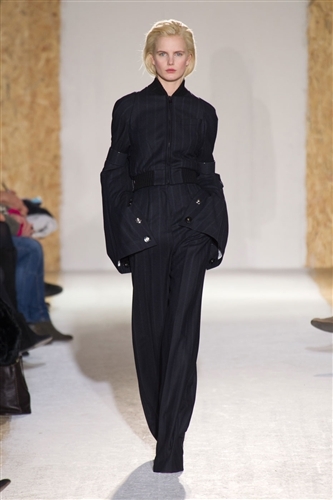 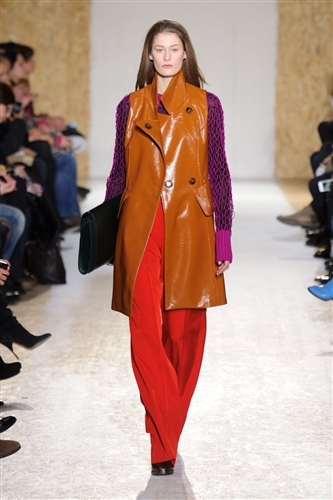 This season Maison Martin Margiela embraced a work wear mood with uniform inspired designs and overtly masculine tailoring. 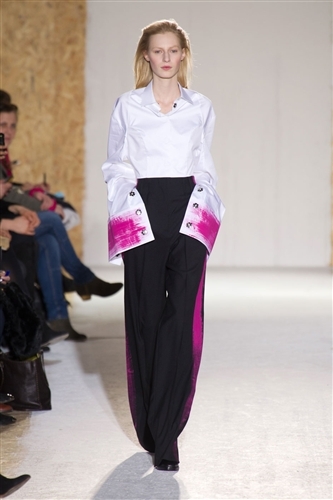 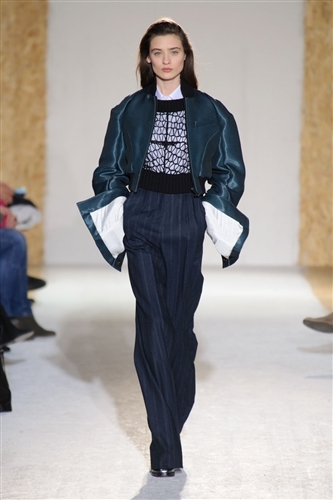 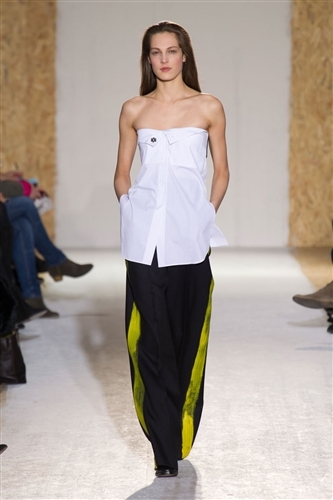 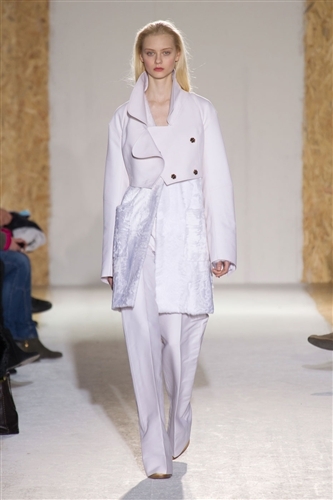 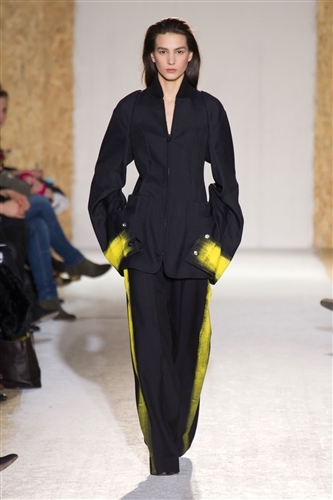 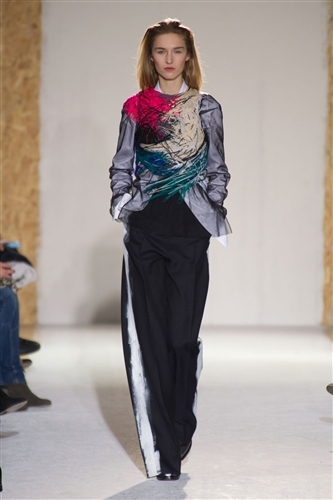 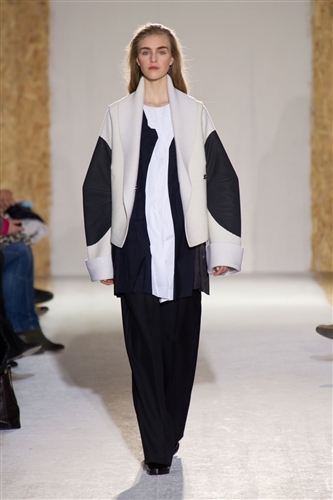 This masculine aesthetic of the show was enhanced by unqiue touches like dramatically oversized cuffs and exaggerated seams along the trousers, this simple technique was very effective, leading to an impacting and bold collection. 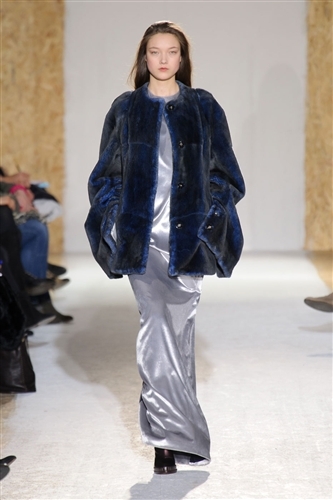 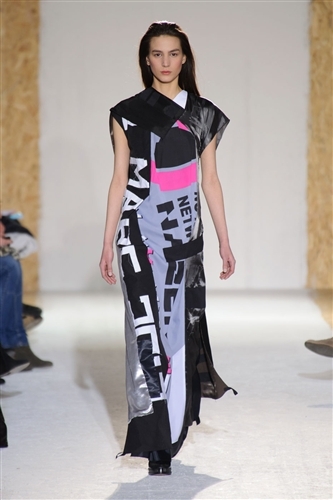 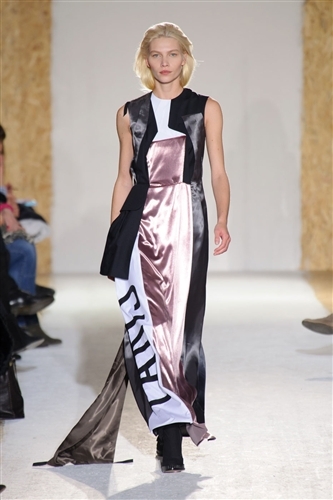 A distinct standout moment of the collection was when a dress bearing the work ‘defile’ came down the catwalk, this summoned up a propaganda feeling and felt rebellious. 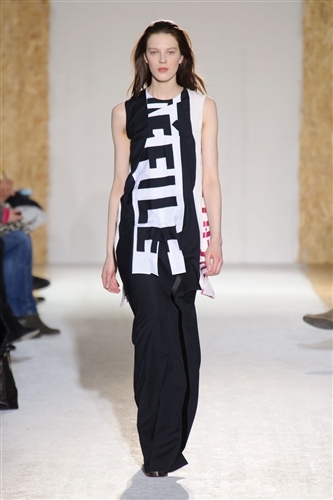 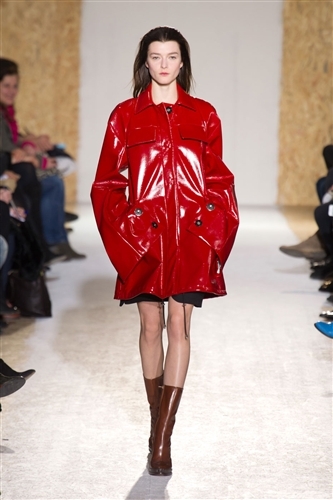 The propaganda dress was the prefect emblem of the collection, acting as a totem for the devil may care attitude that Martin Margiela is bringing into the new season.